The Colorado Buffaloes (12-7, 4-3) handled their business on Thursday night at the Coors Event Center in an 82-73 win over the Washington State Cougars (9-9, 1-5). Colorado has now won four of its last five games and has a record of 4-1 in 2018. It is also the first time in 649 days that the Buffs have been above .500 in Pac-12 play. It seems that CU has finally shaken its slow start woes as the Buffs played with great energy from the opening tip. Colorado shot 51% in the first half on their way to a 15-point halftime lead, 42-27. CU received great production from the depth of their roster. Dom Collier contributed 12 of his 13 points in the first twenty minutes, and Lucas Siewert added seven of his 11, as the Buffs led in bench scoring, 19-3, after one half of play. An argument can be made that the defensive effort was more impressive. Entering the game, Wazzu was averaging the third most three-point fields goals made per game in the country, over 11 per game. The Buffs held the Cougs to just 33 percent overall from the field and just five makes on 31 percent from the three point line in the first half. Colorado held both Robert Franks and Malachai Flynn to four points combined on two of 11 shooting before halftime. On the night, the Buffs held the two standouts to 13 points combined on five of 18 from the floor. The young Buffs punched first once again at the outset of the second half. Colorado immediately went on a 14-5 run, extending a 15-point halftime lead to 26 with 15 minutes to play, 58-32. That’s when the Cougars’ sophomore sharpshooter Carter Skaggs decided to do something about it. Skaggs led a furious comeback, in total, a 26-5 WSU run over the next seven minutes of game time. Wazzu sliced a 26-point deficit to just five with 8:15 remaining, 63-58. 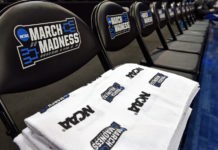 After being held scoreless in just six first half minutes, Skaggs scored his team-high 17 points all in the final 14 minutes to turn what was a blowout, into a close game. Colorado was in real jeopardy of surrendering an enormous lead to a conference bottom feeder. However, the Pac-12’s surprise team in the early goings of 2018, once again had a response. A 12-0 run of their own over the next three and a half minutes stretched the lead back out to 17 and ended any chance of a Cougars comeback on the road. McKinley Wright IV led CU in the closing effort down the stretch, finishing with 17 points, four rebounds, five assists and two steals. Kin has now amassed 100 assists through his first 19 career games, the fourth most assists all-time by a Buffs freshman in a single season. He has 12 more games guaranteed in his freshman campaign and trails Colorado legend and 2004 NBA Finals MVP, Chauncey Billups, by 43 for the all-time record. 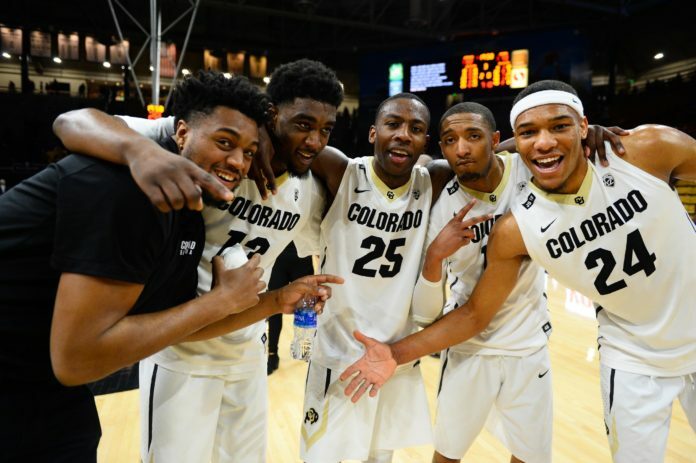 When looking for the biggest reason behind Colorado’s sudden re-emergence to relevance, look no further than the contributions they are now getting on a consistent basis from their upperclassmen. Redshirt-junior Namon Wright registered his first double-double of his Buffs career and the second of his collegiate career, with 16 points, 10 rebounds and three assists. Redshirt-senior George King added 16 points and nine rebounds of his own in the winning effort. King is averaging 21 points per game on 52 percent from the field and 48 percent from the three-point line in his last three games. The Buffaloes wrap up their two-game homestead against the Washington schools on Saturday afternoon as the Washington Huskies (13-6, 3-3) roll into Boulder. 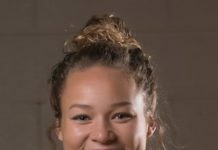 UW suffered a loss in the first part of their Pac-12 mountain swing to the Utah Utes (11-7, 3-4) on Thursday night, 70-62. Tip off is scheduled for January 20th at 4pm MT.